Paul Whitfield Plumbing is equipped to handle all of your hot water needs. Our team can identify faults with your current system and carry out any necessary repairs to get you back in hot water. With a wide and ever changing range of hot water heating options on the market today, we can provide you with the best advice to recommend a system that will suit your needs… and budget! 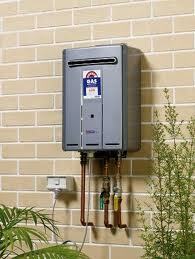 From a gas continuous flow unit to electric storage water heaters PWP can install and maintain your unit. All of our installations are carried out to Australian Standards and in-keep with the manufacturer’s warranty requirements. Call PWP today for all of your hot water needs.